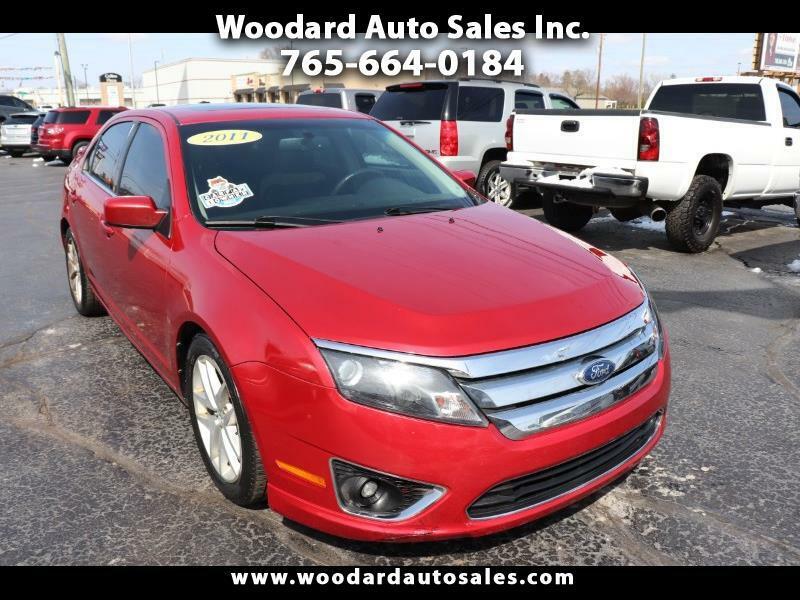 Used 2011 Ford Fusion I4 SEL for Sale in Marion IN 46953 Woodard Auto Sales Inc. LOCALLY OWNED ONE OWNER SEL MODEL WITH CLEAN CARFAX AND FULL POWER OPTIONS INCLUDING DUAL POWER SEATS WITH LUMBAR SUPPORT, CD STEREO WITH SATELLITE RADIO, MICROSOFT SYNC, POWER SUNROOF, REAR SPOILER AND ALLOY WHEELS! !